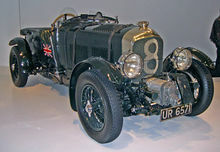 ^ "Bentley Motors To Give Up Racing". Evening Telegraph. Angus, Scotland: British Newspaper Archive. 1 July 1930. Retrieved 23 July 2014. (Subscription required (help)). 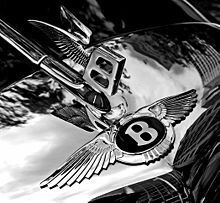 This page is based on the Wikipedia article Bentley; it is used under the Creative Commons Attribution-ShareAlike 3.0 Unported License (CC-BY-SA). You may redistribute it, verbatim or modified, providing that you comply with the terms of the CC-BY-SA.